I said I would continue How To Earn from Blogging Pt. 2 this weekend, and I am here to finish this article. If you are wanting to learn the important steps that are required to earn money from blogging, then do continue reading below. Blogging has become a great way to earn income from the comforts of your own home. The problem most people have when it comes to earning money online is that they don’t take the proper steps that are required. Some people think you can just write an article press publish and the money will roll in. If you’ve tried this, then you know it doesn’t work like that. It actually takes some work to earn from blogging. You have to dedicate your time to this, and you some times do have to be aggressive in your promotion of content. Promotion? Yes. I said promotion. You can’t make money if you don’t have traffic, and you can’t have traffic if you don’t promote your content. You will learn several ways to promote your content in this article, but if I can give you the best advice it would be to choose your keywords wisely. I try to stay away from single words. In fact I try to use atleast 4 words and I typically use that as my title, and I make sure that I have the title somewhere in my first paragraph. I feel this has helped my organic search. I have researched about keywords a great deal, and I suggest if you are going to start blogging to learn about keywords first. It will save you alot of time and stress. I am currently going through over 1,000 posts and fixing the keywords. Don’t make my mistake. Learn keyword importance in blogging before you start. These are the main sites that I use. I have been working on the timing of posts and when I should promote. I found Pinterest to have alot of good information for the best times to share your blog posts through social media. Below, I have listed the best times next to the social media platform. This would be the ideal time to share your post for top engagement. Try out these times and see how your traffic changes. This is something I am currently testing but so far my traffic has increased by about 150%. Traffic has to come from somewhere. The majority of my traffic is through social. If you promote during the right times, then you will definitely see a huge difference. Some other ways to increase traffic is what I stated in the previous part 1 post. Giveaways. Have a giveaway on your blog. Do a monthly giveaway for newsletter subscribers or just have a random giveaway. I would say once you are able to get 500-1000 views on your site per day you will be ready to start advertising. How Can I Start Advertising? This is where the money making comes in. I can point you in the direction of a few great advertisers that I prefer to use. You can also use affiliate programs to help you a bit. I have chosen to use some of the more common choices, these make me money every single day. So long as you have traffic, you will earn daily. The more traffic, the more you will earn. Google Adsense- Sign up with Google Adsense and start earning immediately. They are the best advertising service to earn with but they are very strict and they will not tolerate fraud. This means you can’t click on your own ads. Years ago, I had just started using Google Adsense on my blog and I accidently clicked my own ad. Big mistake. I lost my account. The funny thing was the ad was so enticing that I clicked it without even thinking. Once you get your Adsense account banned, you will never be able to reinstate that account if you were banned for invalid click activity. You can appeal, but good luck. I’ve been appealing for years. Media.Net– This has been my lifesaver since the Google Adsense problems arose. I really love the contextual ads. They are able to match your site and honestly the CTR is pretty high so far. This is the Yahoo/Bing advertising. Chitika– This is not one of my favorite for a deal blog. The ads were always the same and it was from ad council things. I still haven’t figured this company out. You can check it out and see how you like it. Shopher Media– I really like Shoperher Media because they have $0.05 CPC links you can earn with. This is a huge plus. Escalate Media– This one is pretty meh. I haven’t been really using them as often as I used to. I typically use them for their coupon printing referrals only. I really enjoy working on traffic so my advertising earnings skyrocket. There is no better thing than waking up and checking your earnings and seeing you had a post go viral. That is big money. Some people make thousands a day through their blogs thanks to advertising. Just remember they stuck to it and worked hard to get the traffic they have. Traffic is overall key. These affiliate program have some big names such as the stores like Walmart, Kohls, Target to name a few. If you enjoy making online stores some of these affiliate programs have great access to photos of their items and pricing so you can create your own online store. Dresslily and Sally beauty supply have lots of great affiliate resources. 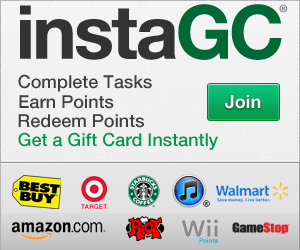 I really enjoy sharing online coupon codes from some of these programs. My readers typically love them as well. Working through the above affiliate programs are about 50% of my monthly earnings. As you see there are so many great ways to earn through blogging. You just need to find the niche you enjoy and a great advertiser to use. Get that traffic up and you will be earning daily. I will be adding a part 3 to this showing my earnings for a month in November. Look out for that post! You can subscribe to my newsletter here.